In the past few years, smartphone manufacturers have been bundling in free stuff with their shiny new phones in hopes of enticing us to drop hundreds of dollars on something most of us really don't need. 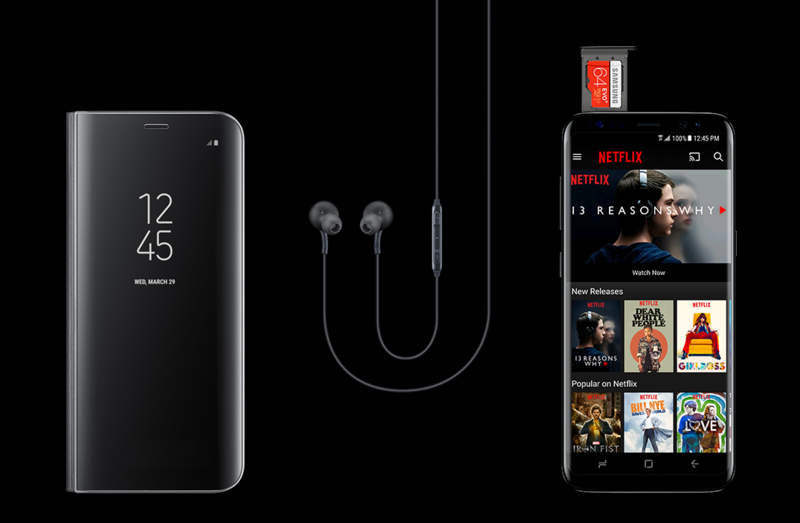 Take LG, for example; they threw in a 200GB microSD and spare battery with the V10, some B&O earphones with the V20, and a Google Home with the G6. Like it's done often in the past, Samsung included a free Gear VR with Galaxy S8/S8+ pre-orders (plus a 256GB microSD and some AKG Bluetooth headphones for an extra $99). But if you want an S8 now, you'll get what Samsung is calling the 'Samsung Entertainment Kit' instead. The Clear View Standing Cover. So what does this kit consist of? 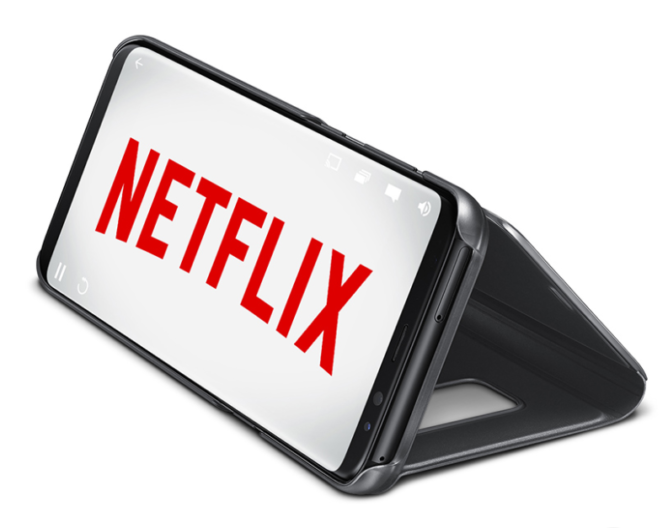 There are three things: a 64GB Samsung EVO+ microSD card, a Clear View Standing Cover, and six months of Netflix. The card is of the Class 10 and UHS-1 variety, retails for $49, and currently goes for $28.95 on Amazon. The cover retails for $59.99, and can be had for less depending on which color you get on Amazon as well. And lastly, six months of Netflix (the two stream plan) would cost around $60 if purchased separately. So all in all, you're saving about $140-$150 if you were to buy these extras yourself. Interested? The valid purchase period has already begun today (May 3rd), and will end on May 16th at 11:59:59PM ET. Galaxy S8s purchased from virtually any retailer are eligible. There are 200,000 of these kits available, so you'll need to purchase and redeem before then. To get the microSD card and the case, you'll need to register for the offer via Samsung's Shop Samsung app and fill in the required info. You'll be able to do so starting from May 5th. For the six months of Netflix, you'll need to visit here and redeem them by June 30th. Time to whip out those credit cards!